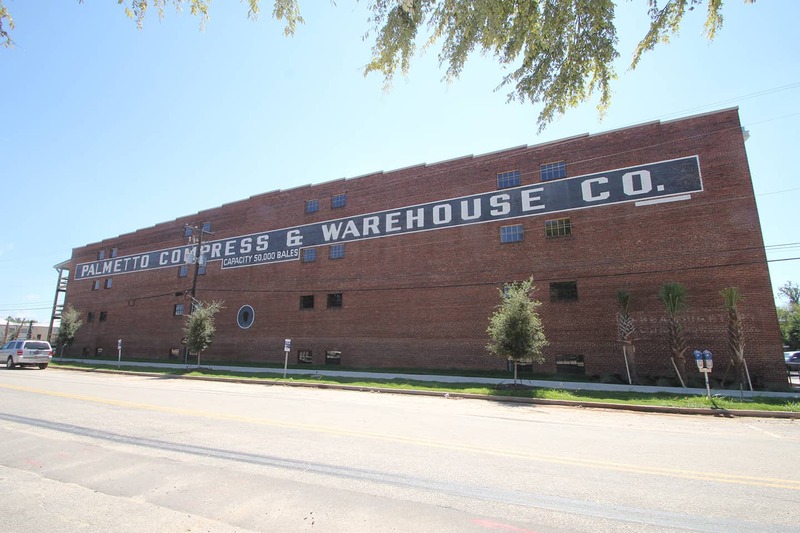 The Palmetto Compress and Warehouse Company Building is a 4-story brick warehouse that was constructed in 1917 with a 1923 addition that doubled the size of the building. 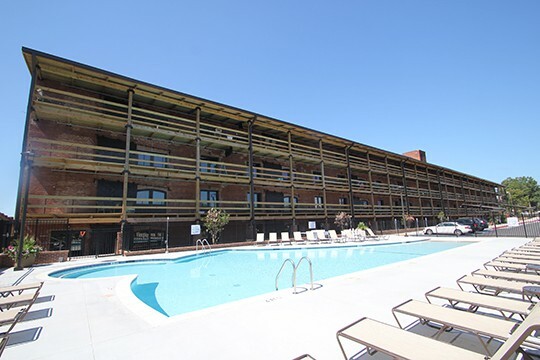 The building was individually listed on the National Register of Historic Places in 1985 for its significance both in its role in the growth of the textile industry in Columbia and North Carolina and as an excellent example of early 20th century warehouse design and construction. 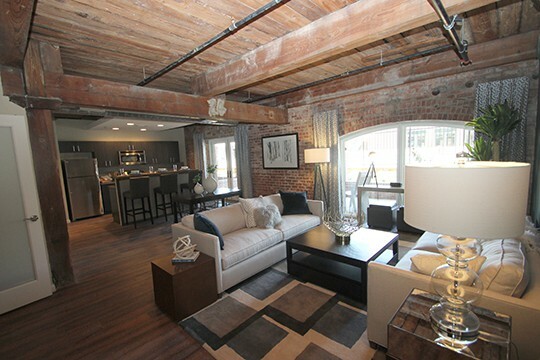 For years, numerous developers unsuccessfully tried to convert the warehouse into an economically viable project, with residential, commercial, and retail functions. The primary obstacles have been the challenging existing slope of the floor slabs, the window openings on the west elevation, which are not only small in size but also positioned 6’0” above the floor, and the substantial floor plate, which substantially limits the amount of natural light and air into the interior of the building. When the building was finally proposed for demolition, the City of Columbia purchased the building and the current owners, under the guidance of Powers & Company, were not only able to resolve the issues but also do so while obtaining Federal Historic Preservation Tax Incentives. 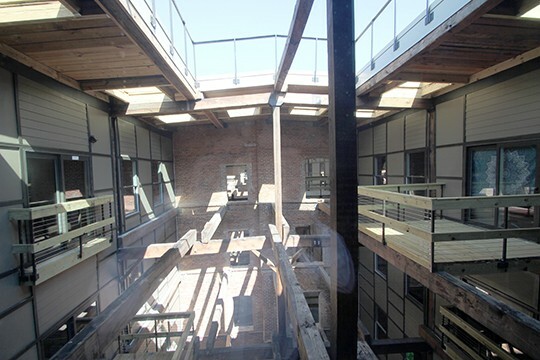 The final result balances the historic objectives, such as leveling out the floors, slightly lengthening the window openings and adding a lightwell, with programmatic additions that have resulted in a comprehensive residential development.